The clique you can trust: Is Blogging for Everybody? Blogging is a relatively new phenomenon. It basically involves the creation of an online journal which is displayed in reverse chronological order. The blogger who is maintaining the blog may opt to post new blog entries as often as he desires. This may involve posting new entries more than once per day, daily, weekly, monthly or even at a less frequent interval. The postings in a blog are typically related in some way but they can be about any subject the blogger desires. Bloggers may maintain a blog for a number of different reasons and these blogs may be private or public in nature. This article will describe the difference between a private and public blog and will also explain blogging professionally as well as blogging for personal reasons. Blogs can also be private or public. Private blogs are ones in which only the blogger and others who have been approved by the blogger can view the blog postings. Public blogs are available to any users of the Internet. A blogger may opt to make a blog private or public depending on whether or not he is comfortable with others reading the blog. For example a blogger who creates a blog for the purpose of venting about frustrations in life may opt to keep a blog private so friends or family members are not able to read these vents. Conversely a blogger who is blogging for a purpose such as to promote a cause will likely opt to make the blog public so his message can reach as many Internet users as possible. However, bloggers who create a blog to express themselves through their writing, poetry or other form of expression may opt to make the blog private or public depending on whether or not they want to make these personal feelings available to others. Some bloggers in this situation will make the blog public because they want to reach others who may either share their feelings or may benefit from reading their blogs. There may be other bloggers in this situation who will make the blog private because they do not want others to see these personal forms of expression. Blogging can actually be done as a source of income for some bloggers. There are a number of companies who maintain a network of bloggers and pay bloggers to maintain a blog in the network. These bloggers may be compensated per post, according to the number of page views the blog receives or through a combination of the number of posts and the number of page views. A career as a blogger requires a great deal of dedication. The blogger must be willing and able to update the blog regularly and to keep the blog interesting to readers. Blogging can also be done for personal reasons. Some bloggers use their blog to stay in touch with family and friends while others use it to express themselves or to share information with others. Blogs created for personal reasons can be a great deal of fun but the blogger must be sure to avoid allowing the process of maintaining the blog to become a stressful situation. 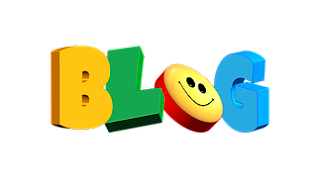 A blog which is maintained for personal reasons should be an enjoyable experience for the blogger.